What is SSAS or Ship security and alert system and its details? The ship security alert system is provided to a ship for the purpose of transmitting a security alert to the shore to indicate to a competent authority that the security of the ship is under threat or has been compromised. It comprises a minimum of two activation points, one of which is on the navigation bridge. These initiate the transmission of a ship security alert. The system is intended to allow a covert activation to be made which alerts the competent authority ashore and does not raise an alarm on board ship nor alert other ships. The now ship security and alert system (SSAS) regulations were adopted by IMO to enhance maritime security in response to the increasing threat from terrorism and piracy. Irmasat C, Mini C, or D + may be used for SSAS system. It is a compact unit with inbuilt GPS and power supply. The intention of this system is to send a covert signal or message from a ship which will not aware of the alert mechanism, to is of use therefore to inform a person ashore of a problem with a minimum number of the persons on board aware of the action. The SSAS is a one-way, ship-to-shore alarm that originates a silent and discrete security alert aboard ship as soon as the security of the vessel is under threat or compromised. As of 2004, all commercial vessels above 500 gross tonnages (GT) are required by the International Ship and Port Security Code (ISPS) to have an operational SSAS installed. The alert includes ship identity and current position associated with date and time. Alert is transmitted via satellite to a competent authority designated by the vessel’s flag state or by the shipping-company. The flag state authority is responsible for notifying the appropriate response agencies. Onboard the SSAS must have a minimum of two activation points (one on the bridge) to be able to activate a “covert” alert, without raising alarm on board ship itself or other ships or being registered in the terminal logs. Oil tankers, chemical tankers, gas carriers, bulk carriers and cargo high-speed craft of 500 GT and above constructed before 1 July 2004 not later than at the first survey of their radio installation after 1 July 2004.
other cargo ships of 500 GT and above constructed before 1 July 2004 and mobile offshore drilling units not later than at the first survey of their radio installation after 1 July 200. Initiate and transmit a ship-to-shore security alert to a competent authority designated by the Administration, which in these circumstances may include the Company, identifying the ship, its location and indicating that the security of the ship is under threat or it has been compromised and continue the ship security alert until deactivated and/or reset. For security reasons, a ship security alert system is necessary on board for initiating and transmitting a ship-to-shore security alert to a competent authority designated by the Administration. Mandatory requirements and guidance for SSAS system. Provide a minimum of two alert activation points, one of which must be on the bridge. Allow covert activation which transmits an alert signal from ship to shore, indicating to a competent authority that the security of the ship is under threat or has been compromised. Not raise the alert on board ship, nor alert any other ship. In addition to complying with the general requirements set out in resolution A.694(17)1, the ship security alert system should comply with the following performance standards. The radio system used for the ship security alert systems should comply with relevant international standards. 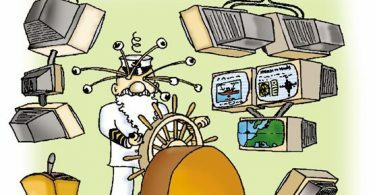 Where the ship security alert system is powered from the ship’s main source of electrical power, it should, in addition, be possible to operate the system from an alternative source of power. Activation points should be capable of being used on the navigation bridge and in other locations. They should be protected against inadvertent operation. It should not be necessary for the user to remove seals or to break any lid or cover in order to operate any control. The activation points should operate a radio system such that transmission of the security alert does not require any adjustment of the radio system, i.e. tuning of channels, setting of modes or menu options. Operation of the activation point should not cause any alarm or indication to be raised on the ship. The operation of the ship security alert system should not impair the functionality of the GMDSS installation. In all cases, transmission initiated by security alert system activation points should include a unique code/identifier indicating that the alert has not been generated in accordance with GMDSS distress procedures. The transmission should include the ship identity and current position associated with a date and time. The transmission should be addressed to a shore station and should not be addressed to ship stations. The ship security alert system, when activated, should continue the ship security alert until deactivated and/or reset. The ship security alert system should be capable of being tested. Alerts can be sent via telex, fax, email, SMS. Pay only for the test & alert messages when you generate them, No monthly fee. Use SSAS for tracking vessels by polling/data reporting. Can be easily integrated into ISPS Ship Security Plans and Best Management Practice procedures. Two security alert button are provided per installation, each consisting of a mechanically latching security alert button with flip cover. In addition to protecting against accidental operation the flip cover can be locked to prevent malicious or accidental tampering. But it should not be locked during normal operation of the vessel. Every country has competent authority who will receive the alert and act accordingly. In India competent authority is director general of shipping. A short message indicating the type of treat under treat if the circumstances permit. The ship security alert when activated shall transmit the alert at communication centre. Once activated, the SSAS should continue to transmit unless reset or deactivated. The frequency of transmission of alert should be transmitted at intervals not exceeding 30 minutes. Alert goes to FLAG DG Comm & CSO. Company security office test procedure. The functionality test of the SSAS shall be demonstrate Annually during ever safely radio survey and during intermediate or renewal audit for international ship security certificate. The unit should be capable of being tested in the presence of representative from the flag state. DGS should be notified at least 3 hrs in advance of any test and such test shall be documented. What is content of intact stability code? What are types of Tidal Patterns on sea ? What is meaning of Tidal Range?